For the term "Gul Ahmed". Gul Ahmed Lawn Collection 2010 has arrived in stores. Here is beautiful lawn collection gallery from the Gul Ahmed Magazine 2010. This Summer bring latest collection of Summer Lawn with colorful floral designs, latest neck styles, Salwar Styles (Trousers, Flappers, Baggy pants fitted, churidar etc). 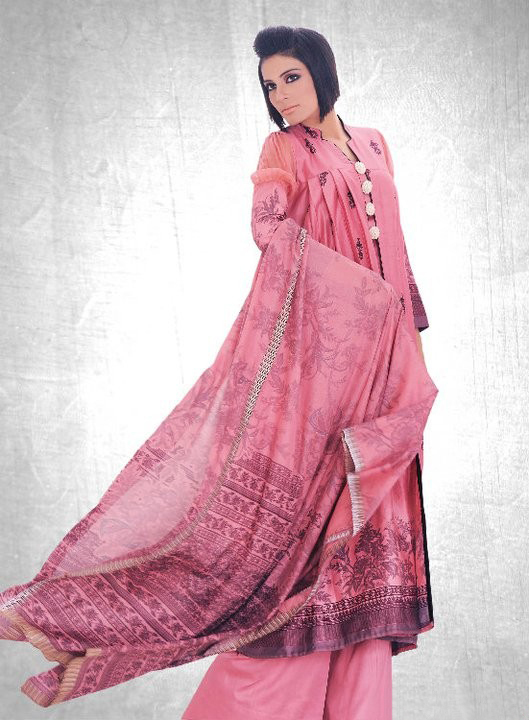 Dupatta is the tradition so Gul Ahmed always brings stylish designs of dupattas. Gul Ahmed has been an exporter of textiles for the past many years and with its vast experience and reach the company is set to develop an extensive chain of stores across the country, aiming to bring its customers an unbeatable shopping experience. Gul Ahmed’s tradition of quality and style provides an elegant taste of creatively designed home textile ranges in a vibrant palette of colors, fabrics, patterns, textures and embroidery styles. Gulahmed is one of the largest textile manufacturer from Pakistan, offering large range of products for women, men and children. Here is the beautiful summer collection of 2009. Women’s and Girls Favourite Dress Summer Collection of Lawn Prints you can buy these designs directly from the Gul Ahmed outlets all over the pakistan. Enjoy the beautiful gul ahmed lawn summer collection 2009.